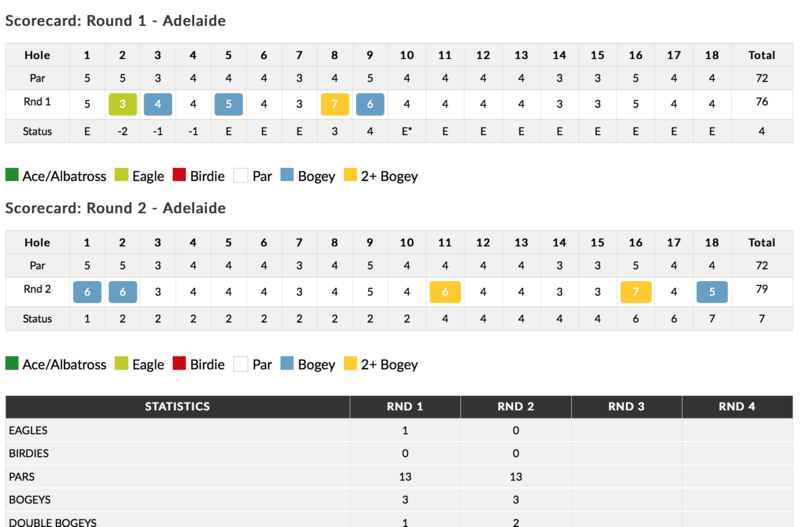 Unfortunate I missed the cut in ISPS Handa Women's Australian Open. Great to play this big event in Australia. I could not play as strong as last week in Canberra. It was a struggle on this very tough course with fast refined greens. The only highlight was 1 eagle [nearly albatross] on the 450 m shortest par5. After the 76 first round I looked forward to play better on Friday. But no, 79 to miss the weekend in this great event.